From the time that I started painting with acrylic I have used a ‘stay-wet’ palette. 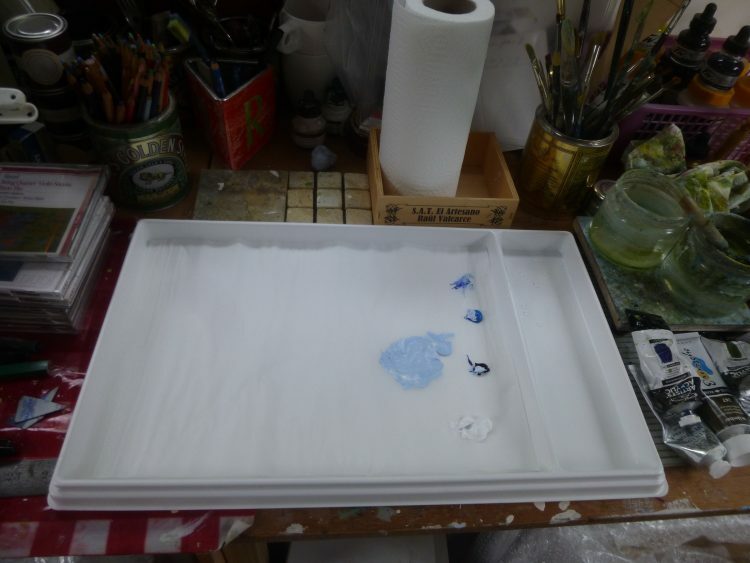 The paint is kept moist with the reservoir paper (a bit like blotting paper) and will stay usable for at least a week. This means that far less paint is wasted because it has dried up and gone hard. Also, if you have any particular colour mixes that are being used in different parts of the painting, they will still be there, ready and waiting when you need them, and you don’t have the tricky job of mixing exactly the same colour again. 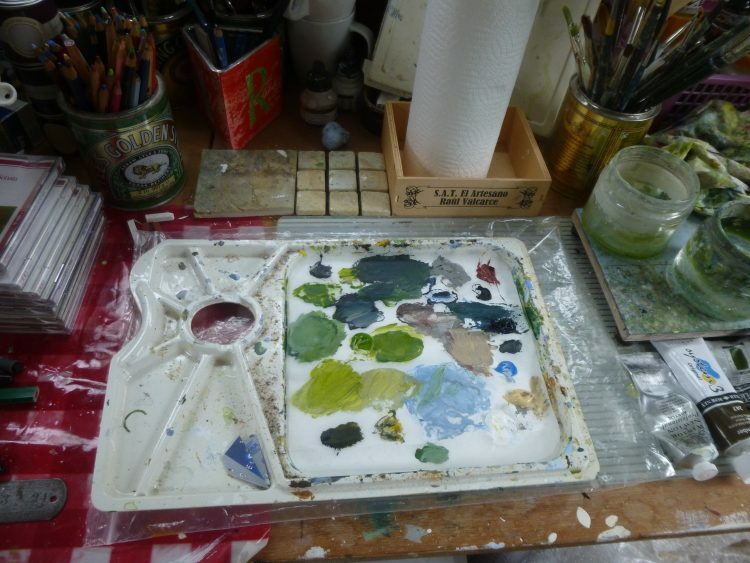 Now that I am frequently painting on a bigger scale my little old palette was feeling very small and cramped. There just wasn’t enough mixing room. So last week I treated myself to a lovely new extra large Daler Rowney palette from the SAA website. I started using it for The Ridgeway V – and I can see that it is going to be a great help. 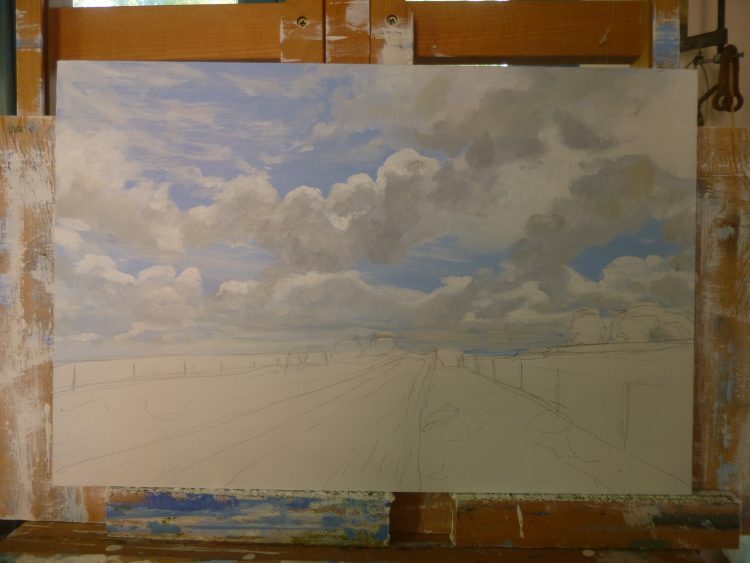 This is as far as I’d got with The Ridgeway V this afternoon! 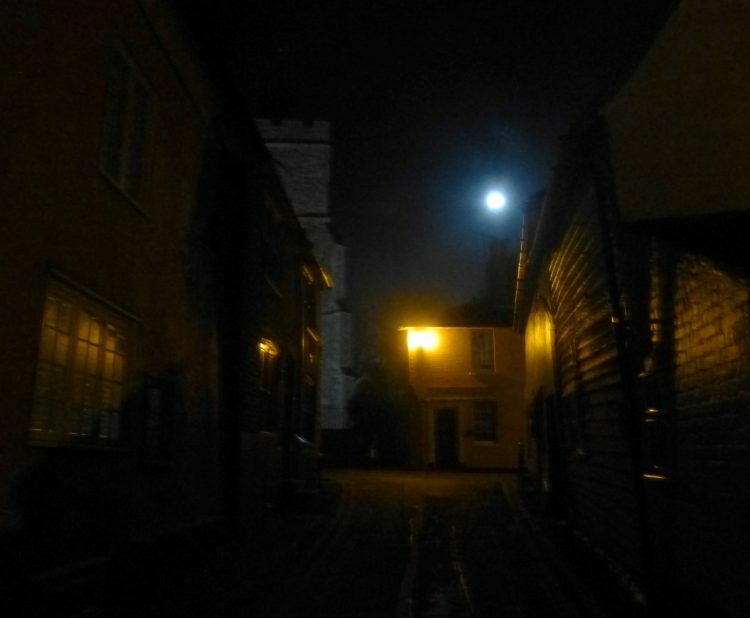 And finally, there was the most beautiful full moon tonight, when I went down to sing at Wivenhoe. Actually it might not be completely full until tomorrow – but it was certainly beautiful!